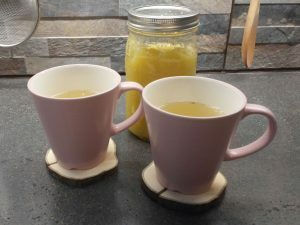 Ginger Tea (생강차) – Yori, Hey! Two cups of Ginger Tea. 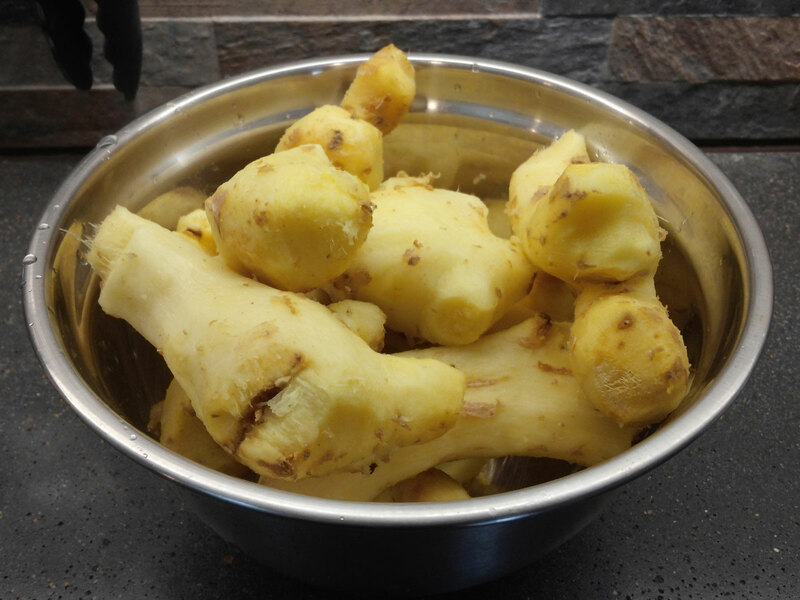 Ginger is root that has a unique spicy flavor. It helps warm the body, which makes it great for a cold day. It can also help relieve headaches* and helps with digestion. This recipe for Ginger tea is easy to make and should take about 15-minutes. You can store the concentrated mix in the refrigerator for several months. Just add a spoonful to a cup of boiling water to enjoy. First, you’ll want to weigh your ginger. When you go to the store to buy fresh ginger, you can use their scales if you don’t have one. We are using a one-to-one ratio of ginger to sugar, by weight, so if you have a pound of ginger, get a pound of ginger. After we clean and peel the ginger, the weight will reduce, but not by very much. We just need an approximate weight. 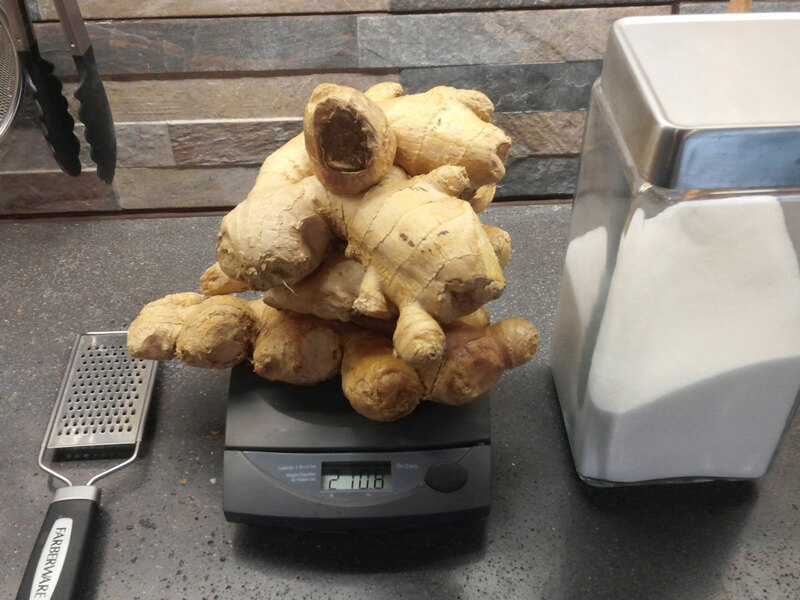 Weigh your ginger to see how much sugar you need. Here, we have 2 pounds, 10.8 ounces of sugar, so we’ll need the same weight in sugar. Since one cup of sugar weighs about half a pound, we need about five cups of sugar. Peel the ginger by scraping it with a paring knife or a spoon. 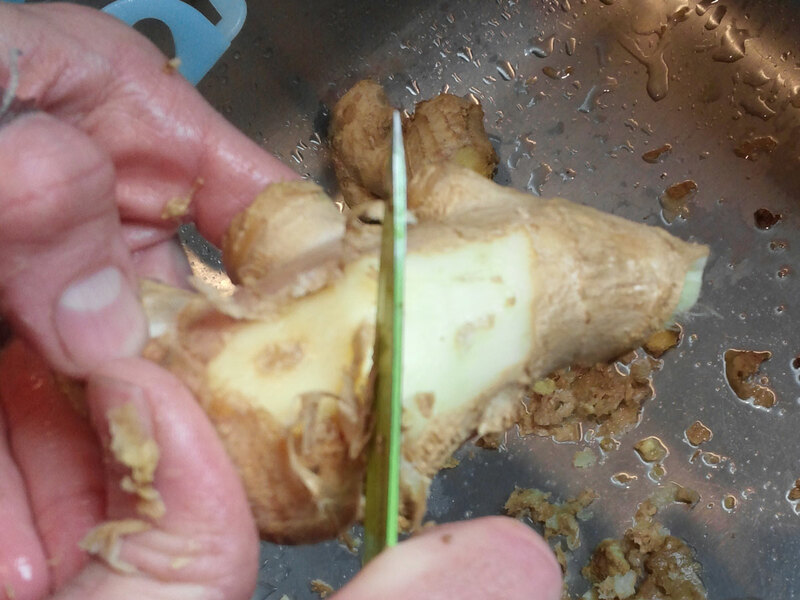 Next, wash and peel the ginger. You can use either a small knife or spoon to scrape the skin off. If you have a high-power blender, chop the ginger into smaller pieces and add them together with the sugar to the blender. We blend about a pound of ginger and a pound of sugar together at a time. 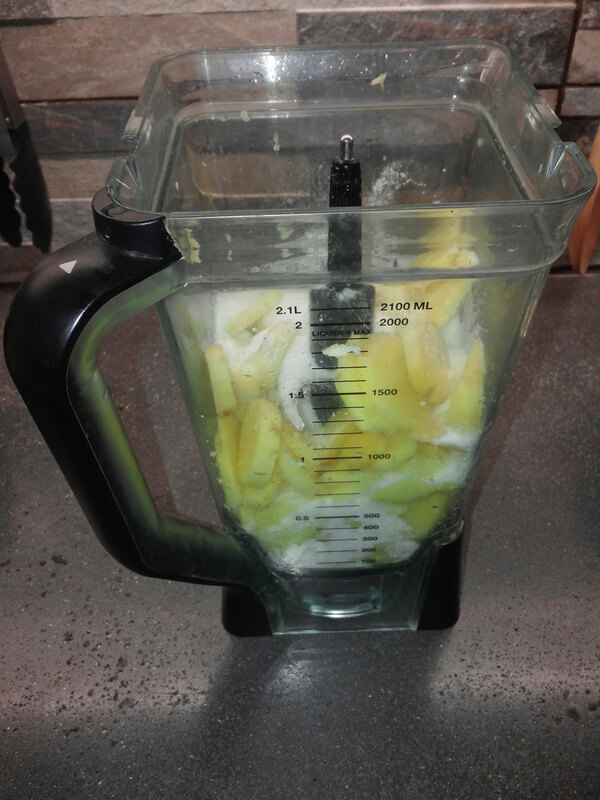 A blender full of equal parts, by weight, of sugar and chopped ginger. 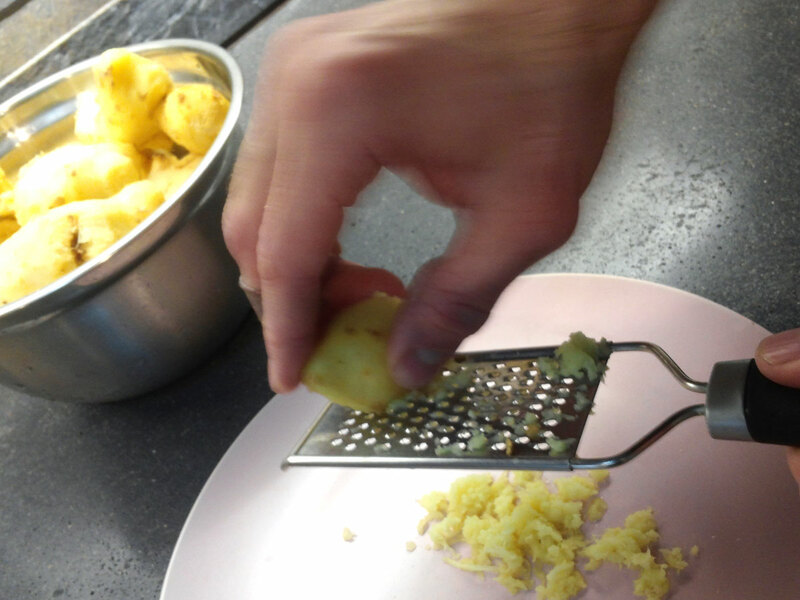 If you don’t have a blender, grate the ginger with a hand grater. 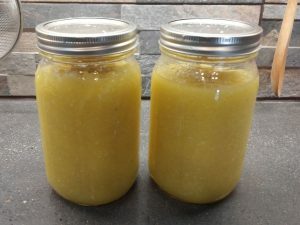 With the ginger grated, add it together with the sugar to a jar or container. Add a few spoons of ginger, followed by a few spoons of sugar. Alternate as you fill the container, ginger-sugar-ginger-sugar. 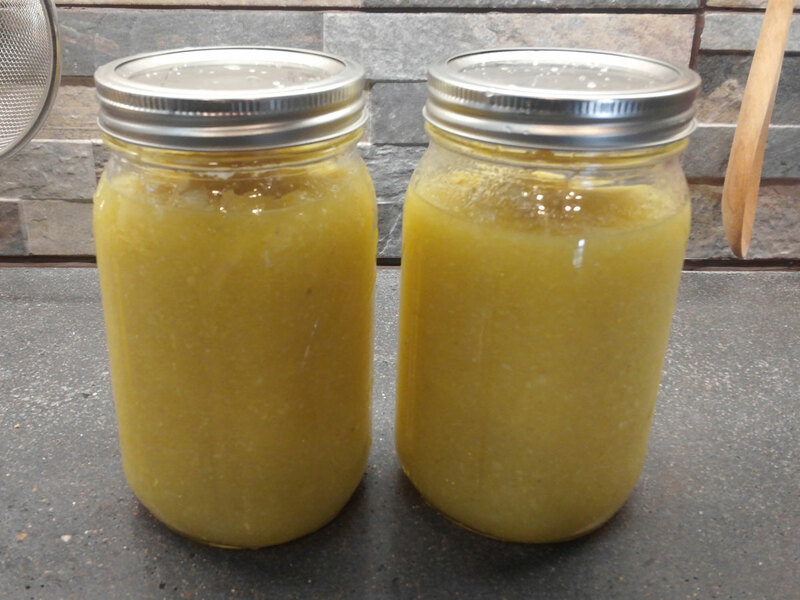 Two jars full of our blended sugar/ginger mixture. Once you have the container filled and covered, you can store the mixture in the refrigerator for several months so it is ready to use. To make tea from the mixture, boil a cup of water and add a spoonful of the ginger mix. Strain and serve. A bowl of peeled ginger. 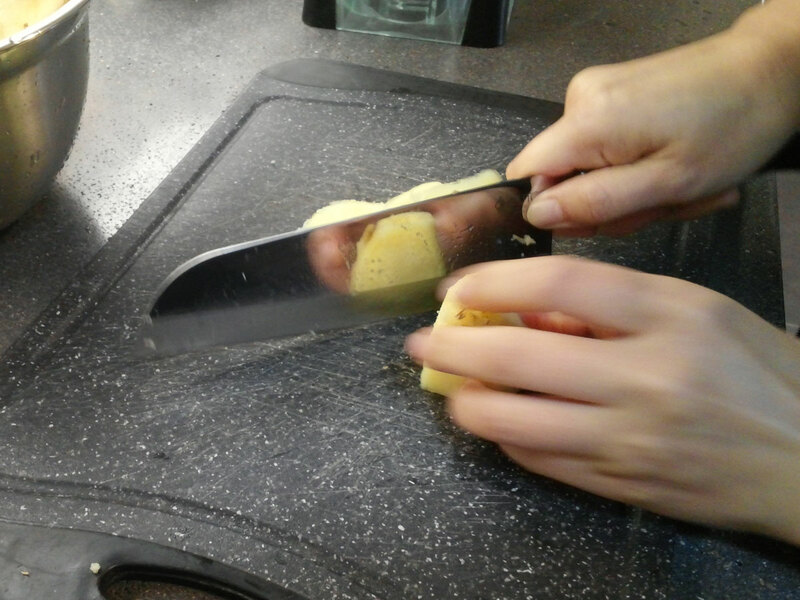 Chop the ginger into small pieces to add to the blender. 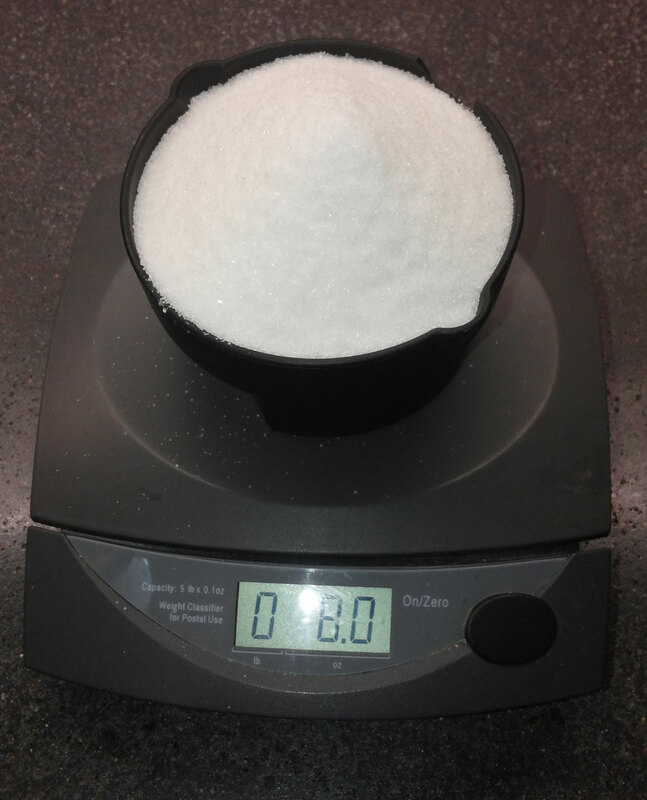 Weighing a cup of sugar. Here one cup weighs 8 ounces, or half-a-pound. 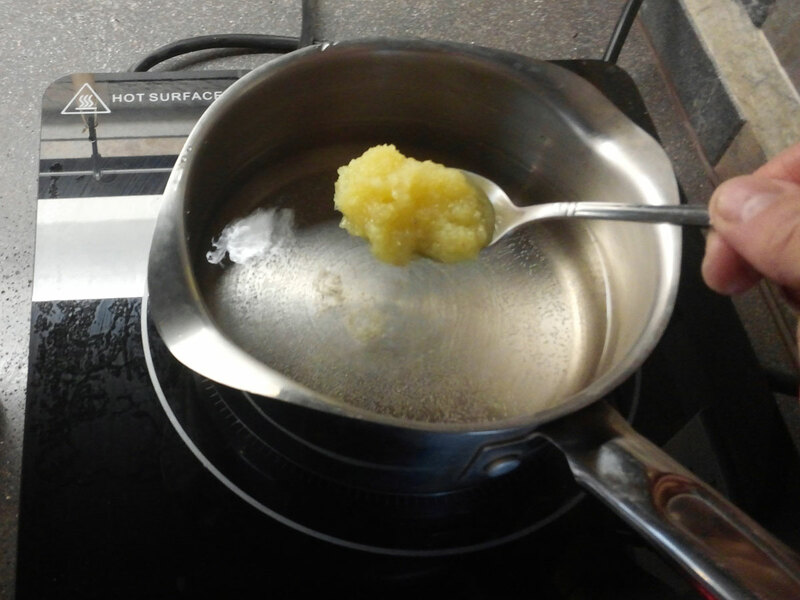 Add a spoon of the ginger-sugar mix to a cup of boiling water. Strain and serve. Great! Did you grate the ginger or use a blender/food processor?